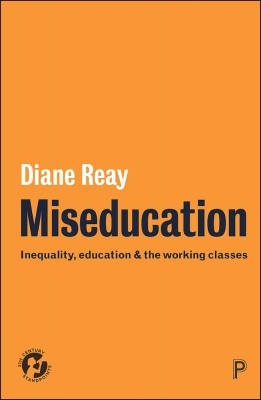 In Miseducation: Inequality, Education and the Working Classes, Diane Reay draws on interviews with over 500 children to explore the class inequalities that persist in UK education from the transition to secondary school up to university. The book’s personalisation of everyday working-class experiences of education, combined with statistical evidence on continued inequality, makes this engaging and timely reading, finds Natasha Codiroli Mcmaster. Miseducation: Inequality, Education and the Working Classes. Diane Reay. Policy Press. 2018. Fees for state secondary education were abolished in 1944, over 70 years ago; however, class inequalities in UK education persist to this day. In Miseducation: Inequality, Education and the Working Classes, Diane Reay draws on interviews with over 500 children, as well as her own experiences growing up in a working-class family, to show that children are educated differently depending on their social position. She covers vast ground, following students through the transition to secondary school, where working-class students are more likely to attend schools with less funding and resources, into the classroom, in which ability grouping often sees working-class pupils further segregated into lower sets, and then through to the university experiences of those who do gain access. In this light, this book could not be a more timely analysis of class in the UK’s education system. Whilst Toby Young’s comments may seem extreme and anomalous, Reay’s examination of accounts of working-class students who defied expectations to enter the most esteemed universities exposes similar attitudes (although not usually expressed so explicitly). The young people in Reay’s books speak of isolation, an inability to ‘fit in’ and a feeling of being patronised or looked down on by their peers. Children not only need to convince themselves that with hard work and persistence they can attend university, but have to do this despite the low expectations of teachers and with little information as to what is required. Working-class university students also face additional practical barriers. Despite reassurances that university debt is not ‘real debt’, the threat of owing such a huge amount of money can have significant psychological impact on young people who are unsure if they will ever be able to repay their loans. Reay interviews students working long hours alongside their degrees just to get by, with no guarantee that this ‘gamble’ will pay off in the future. Working-class students take on more debt to attend university, and this is set to increase following the abolition of income contingent maintenance grants. At the same time, young people from lower income households are more likely to drop out of university, and on average earn less than than their well-off peers who studied the same subjects at the same institution. Reay therefore argues that rather than congratulating ourselves on the success of widening participation initiatives, we should look to outcomes beyond university: namely, later participation in the labour market. If working-class students make it to Higher Education but remain in low-income, precarious employment, can they really be thought of as social mobile? It is not only at university that social disparities cause psychological distress. Parents and children across social classes put lots of thought and time into choosing a secondary school, and they are profoundly aware both of school status and the limitations surrounding their decisions. Once in secondary school, the message that academic success is a combination of hard work and individual aptitude affects children’s self-esteem as the contextual barriers they face are not taken into account. The interviews make for harrowing reading, with children put into lower sets recounting feelings of humiliation, a lack of motivation and a sense of helplessness. The pressure to do well in individual tests is compounded by the fact that scoring badly on one test makes achieving in the next even harder, as children are put into lower sets with lower quality teaching, or are simply not entered for ‘higher tier’ exams. One student, Hannah, explains that if you do not do well in exams you become a ‘nothing’, as opposed to the level 4s and 5s. It comes as no surprise, then, that in the face of constant negative feedback, many children lose any interest in learning. Reay eloquently discusses the difficulties inherent in classifying people as ‘advantaged’ or ‘disadvantaged’, or as working or middle class. As she notes, many more people feel that they are working class than one would expect if we look at the proportions of people in professional jobs. A number want to identify with the narrative of ‘working class done good’, whilst nonetheless benefiting from all the middle-class privileges Reay elucidates. However, while the changing structure of employment in the UK over the past century has superficially pushed many in subsequent generations into the middle classes, Reay points out that the differences in incomes are larger than ever. Despite this, Reay signals the backgrounds of the children and parents interviewed in very polar terms, i.e. as being either working or middle class, often without further exploration of how certain their position is. This may be necessary for simplicity, but the exceptions to this offer a unique and more rounded insight into the nature of children’s experiences of class. An example is the story of Max, whose parents have middle-class jobs but whose grandparents were working class. Max attended a school with predominately working-class peers, and struggled with balancing the expectation from his peers to not act like a ‘nerd’ and those of his parents and teachers to excel academically. Many of the ‘middle-class’ families interviewed also seemed to occupy the ‘upper middle class’, and it would interesting to hear more stories from children who sit on the edges of these class categories. Miseducation does not offer any quick fix policy solutions to the problems exposed, but this would ultimately be inappropriate given the complexity of the issues. 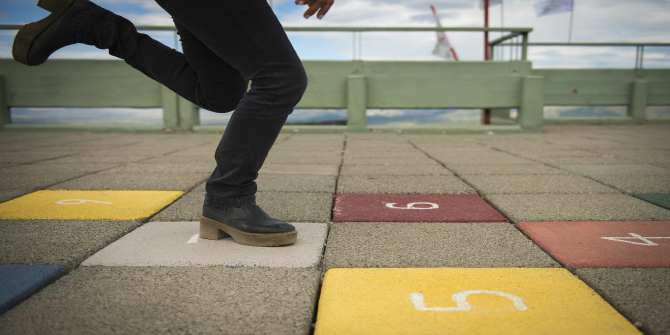 In terms of current initiatives, evidence suggests that social mobility in the UK is declining, and Reay discusses how recent policies may only exacerbate this. In 2017 Theresa May re-opened the grammar schools debate, which Reay points out will likely only further hinder efforts to increase social mobility. Students from poor backgrounds are the least likely to get a place at a grammar school or to receive help from parents (both directly and through tuition) to pass entrance exams. There has also been a drive to increase the number of free schools and academies (schools that are independent and not run by local authorities), but these tend to take in fewer children claiming free school meals and receive more funding per pupil. The drive to increase social mobility rather than overall equality is also challenged by Reay. Social mobility by definition pushes some people above others, and whilst the ‘brightest’ working class children may benefit, the majority would not. Parents will (understandably) always be motivated to exploit any hierarchy in education and use their resources to give their children the best future possible, further disadvantaging less well-off families. Even those working-class children who do gain entry to the middle classes do not necessarily benefit, as they often face a disconnect between their upbringing and current position. More equitable policy directions could include increasing the social mix within schools, or moving away from ability streaming in schools altogether. Miseducation would benefit anyone interested in social mobility and education in the UK, particularly given the stagnation (or even increase) of inequality in this realm, and the book has the potential to help inform innovative policy directions. Reay’s contribution to debates on education and social background is to personalise everyday working-class experiences of school and university, something usually absent from current discourse. This, combined with statistical evidence of the extent of inequalities, makes for particularly engaging reading. Natasha Codiroli Mcmaster is a PhD student based at the Institute of Education, UCL. Her research focuses on inequalities in education, and her most recent research considered disparities in students’ subject choices. She has also worked as an analyst at the Department for Work and Pensions on projects aimed at understanding the drivers and consequences of disadvantage.